← Celebrating Two Years ~ DRAGON KNIGHT’S MEDALLION and GIVEAWAY! Thank you everyone for leaving comments about your love for Stephen and Aileen’s story! I love reading them all! CONGRATULATIONS ~ Roslynn Ernst! You’ve won the gift package below! And because you’ve all been so fabulous with sharing your best scenes from Dragon Knight’s Medallion, I’ve decided to give away another gift package! 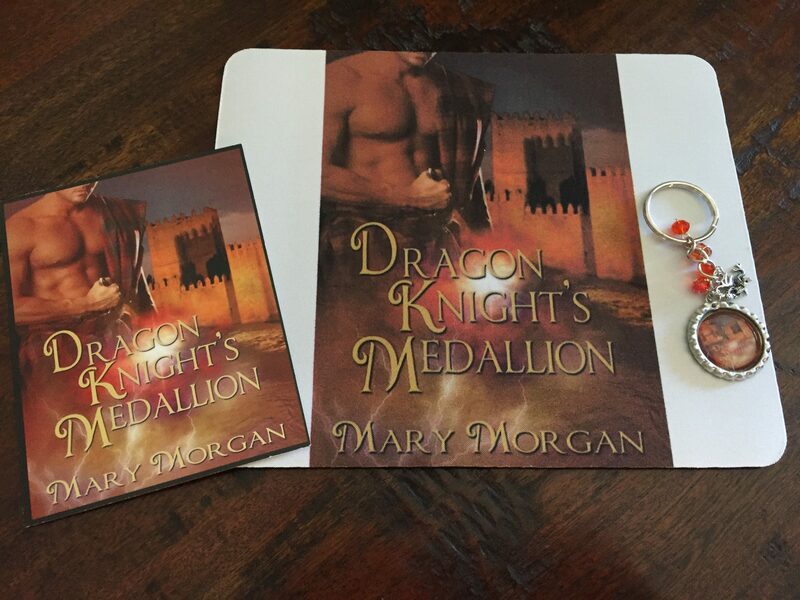 Dragon Knight’s Medallion Mousepad, keychain, and postcard. You’ve won this prize package to the left. Ladies, please send me an email to: moirarose415@yahoo.com with your mailing addresses. And don’t forget! 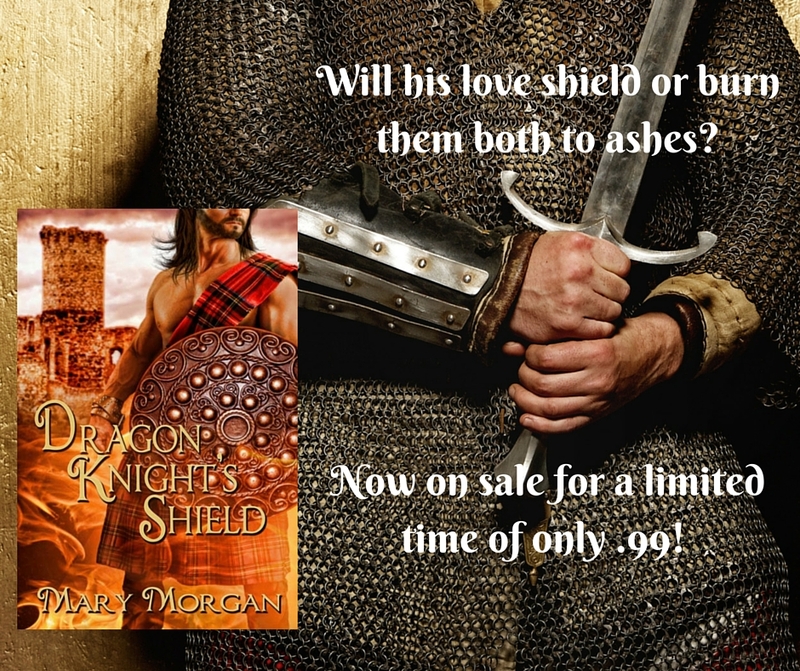 DRAGON KNIGHT’S SHIELD is available for a limited time for only .99! Grab your copy now! I’d love to see them on Audible, so I can enjoy them all over again! 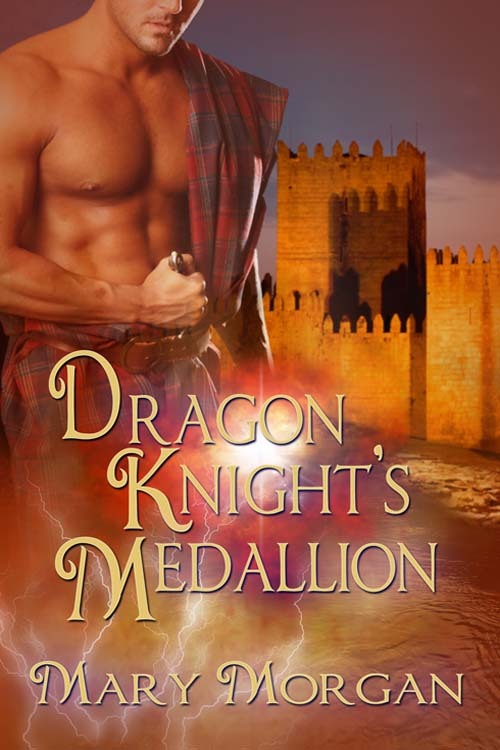 Eileen, did you know that Sword and Medallion are on Audible? As I mentioned in another comment, I’m keeping fingers crossed I can share some good news regarding the third book for Audible soon! 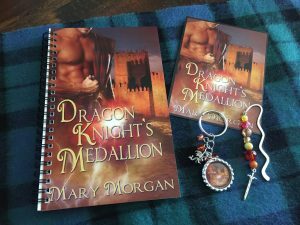 Thanks so much for visiting and for enjoying my books! Hugs, Cyndy! Thanks so much for all your love and support!